Beast Super Test Review (2018) Does It Really Work? Beast Super Test Review – Does It Actually Work? What is Beast Super Test? How Much does Super Test cost? How To Take Beast Super Test? Testosterone boosters have exploded in popularity over the last 10 years. Especially among guys who workout and want to get results in the gym without having to resort to steroids. With so many of them for sale it’s difficult figuring out which ones work and which don’t. Which is why we’ve made it our mission to take a closer look at some of these testosterone boosters to help you find the ones that really work. Many guys know that testosterone can help them gain muscle and cut fat, but too many people buy overhyped supplements that are essentially expensive multivitamins. Beast Super Test has one of the most diverse lists of ingredients of any testosterone booster we’ve seen. Is it the missing puzzle piece to achieving your fitness goals? The Quick Review: Beast Super Test contains a ton of ingredients and some of them are proven to increase testosterone. It has some positive and negative reviews. Some swear by it and some people just didn’t see any results. We definitely wouldn’t consider it to be one of the best but it’s relatively cheap so it may be worth a try. Super Test is a testosterone booster produced by the company Beast Sports Nutrition. This company has been around for years and has a reputation as one of the most trustworthy supplement companies on the market. Each bottle contains 180 capsules (enough for a 45-day supply). Super Test is also available in a powder form from the company’s site for $49.99, providing the same number of servings. The per day price of this supplement is comparable to most other testosterone boosters. It’s also available on Amazon here. There are no specific instructions about when to take it listed on the company’s website, but they recommend taking four capsules per day. Customers report the best results from taking it in the morning with breakfast. Super Test contains one of the more robust ingredient lists found in any testosterone booster, with seven different combinations of herbal supplements designed to improve your workout. Increasing testosterone is why you’re interested in this supplement in the first place, right? The pro-testosterone formula promotes the production of testosterone through two key ingredients, Fenugreek and Ashwagandha extract. Research on ashwagandha consistently shows a minor effect on improving testosterone levels. One study looking at the effects of 300mg of ashwagandha per day on untrained men between ages 18-65 found that serum testosterone increased more than it did in a placebo group after eight weeks (1). Another study found that 5g of ashwagandha powder for three months increased testosterone production in men with a low sperm count (2). Research on fenugreek doesn’t look as favorable. More studies than not show that this herb has no noticeable effect on testosterone production (3, 4). Can Super Test increase testosterone? Vitamin B6, Magnesium, and Zinc are three nutrients critical for your body’s energy production. There’s no question that ZMA supplements may support a healthy body, but of these three nutrients, Zinc seems to be the most essential for improving testosterone levels. 30mg of zinc supplement per day may improve testosterone production in athletes (5). Super Test only contains 15mg, so it may not be enough to have a significant effect on your testosterone production. It’s difficult to say exactly how useful this complex is for improving workouts since the company doesn’t break down the exact amounts of each of the ingredients. One problem with a blend of extracts is that it’s hard to look at the individual effects of each component. The following ingredients are included to reduce estrogen levels, which has a suppressing effect on testosterone, to increase Nitric Oxide, which can help with sexual health and testosterone production, to decrease DHT, which is linked to baldness, and to support liver and kidney health. Research supports that ingredients like Ashwagandha can increase testosterone levels, but what are other customers saying? Overall, the reviews look more positive than negative. On bodybuilding.com, Super Test received an 8.0/10 rating and on Amazon received 3.8/5 stars. This user on Bodybuilding.com reported increased strength and improved physique that he wasn’t able to achieve with other supplements. Of course, like all supplements, Beast Super Test has to be combined with a proper training program, like this customer mentions in his review. Some people didn’t notice an affect while taking this product, so it isn’t a miracle cure to all your training problems but another weapon to add to your arsenal. The following are reasons why you shouldn’t take Super Test. 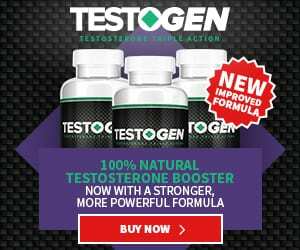 This product seems to be one of the better testosterone boosters on the market, and if you’re willing to fork over at least $30 a month on a testosterone booster, this may be an excellent option for you. The company Beast Sports Nutrition has a good reputation in the supplement world and are known for producing high-quality products. One downside of taking Super Test is that because there are so many ingredients, it’s hard to know which ingredients are working and which aren’t. The only way to find out how your body will respond is by taking it and seeing if you notice a difference in your workouts or physique. You can purchase Beast Super Test here on Amazon.